Yates was relieved of her post Monday, just hours after news broke that she was instructing Department of Justice lawyers not to defend the executive order. Yates "betrayed the Department of Justice by refusing to enforce a legal order designed to protect the citizens of the United States," a press release from the Office of the Press Secretary read. 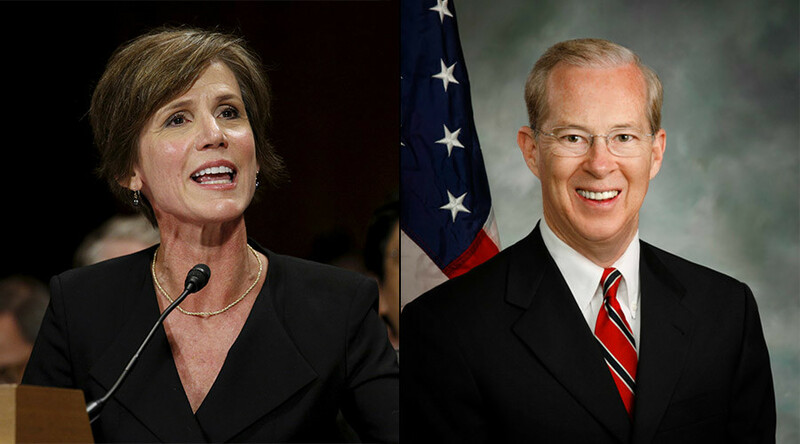 Boente, an Obama appointee, was confirmed by the Senate to his previous US Attorney post. The Trump administration told reporters Monday evening that was good enough to allow him to sign Foreign Intelligence Surveillance Act (FISA) warrants authorizing surveillance of perceived foreign threats in the US. This is unprecedented, as Boente's Senate confirmation did not grant him FISA approval power. That authority is reserved to the US attorney general and deputy attorney general, who until now have been directly confirmed by the Senate to those posts. It remains to be seen if this move will face a legal challenge. "I am honored to serve President Trump in this role until Senator Sessions is confirmed. I will defend and enforce the laws of our country to ensure that our people and our nation are protected," Boente said as Acting Attorney General in the press release. Trump responded to Yates' move on Twitter, calling it an example of Democrats' obstruction "for purely political reasons." Former Attorney General Eric Holder, who served under President Obama, tweeted support for Yates after her termination. Sally Yates: person of integrity/attorney with great legal skill. Has served this nation with distinction. Her judgment should be trusted.